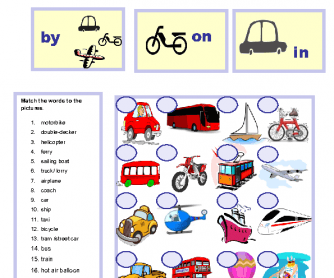 This worksheet is about means of transport and the prepositions used with them. It has a matching exercise. 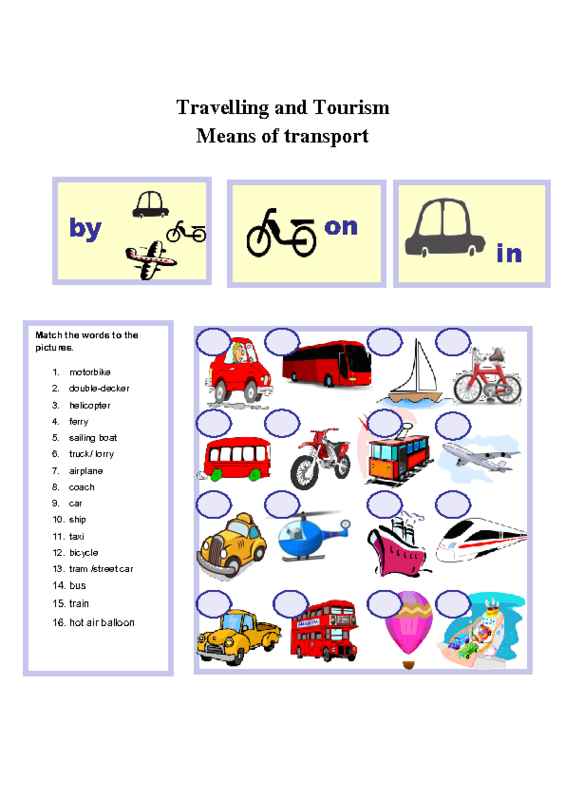 Students should match the names of the means of transport and the pictures. Then it has the rules for the use of by, in and on (prepositions of the means of transport). It has a gap-filling exercise to practise.